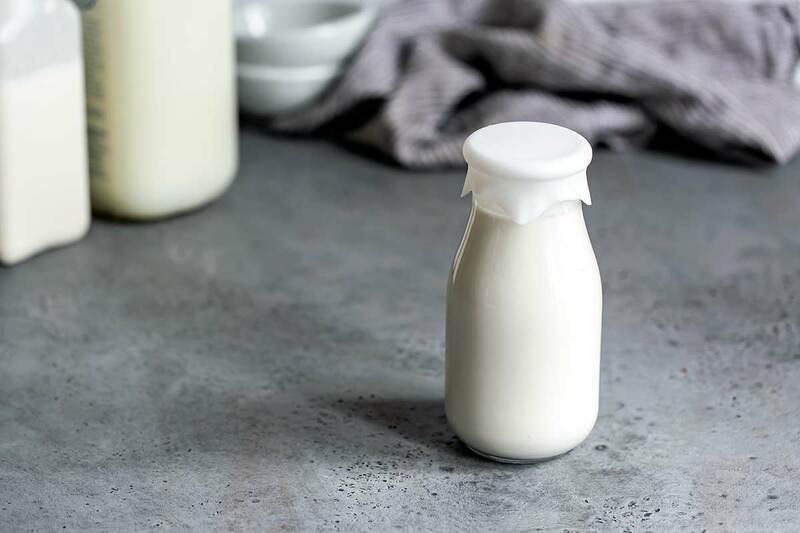 Many recipes call for half-and-half, a dairy blend that provides a perfect level of fat when heavy cream is too rich, but whole milk isn’t quite enough. So what is half-and-half, and how do you make it if you already have cream and milk in the fridge? Read on to learn how to make half-and-half so you can save time and money! Because I’m an obsessive latte drinker, I always keep milk in the refrigerator. Since I’m constantly developing new recipes, I usually have heavy cream as well. However, I rarely have half-and-half ready to go, requiring an extra trip to the grocery store. The good news is that I can always make a basic half-and-half substitute out of the milk and cream I already have. And so can you! Half-and-half is a simply a combination of milk (typically whole milk) and cream, with the fat content ranging anywhere from 10% to 18%. 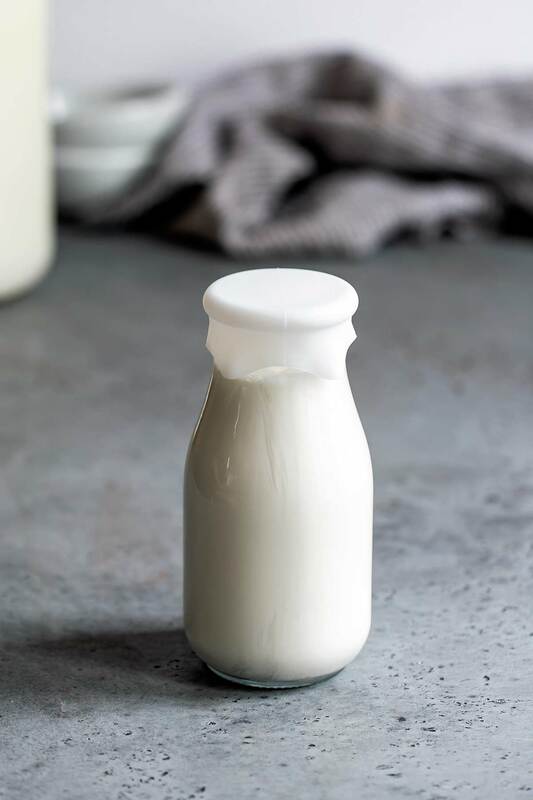 Because of the milk, it can’t be whipped like cream, however it’s great for adding richness and fat to recipes when heavy cream is too much, but whole milk isn’t enough. Examples of where you might see half-and-half used include quiche, ice cream, and cake. Scroll to the bottom of the post for some example recipes! Combine equal parts whole milk and heavy cream (or light cream). This is the method we used in culinary school, and while it gets you a slightly higher fat concentration (21%), it works great and it’s always easy to do the math, no matter how much the recipe requires. So if a recipe calls for 1 cup half-and-half, you’ll need 1/2 cup whole milk and 1/2 cup cream. Combine 75% whole milk and 25% heavy cream (or light cream). This is the most common method. This ratio lowers the fat content slightly to make it closer to the store version. So if a recipe calls for 1 cup, you’ll need 3/4 cup whole milk and 1/4 cup heavy cream. Combine 2/3 cup skim or low-fat milk and 1/3 cup heavy cream (or light cream). I often use this version since I start my days with a few low-fat lattes. I left the ratios out here since it makes the math look more confusing than it is! 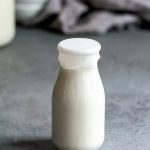 Can You Make Whole Milk From Half-and-Half or Cream? 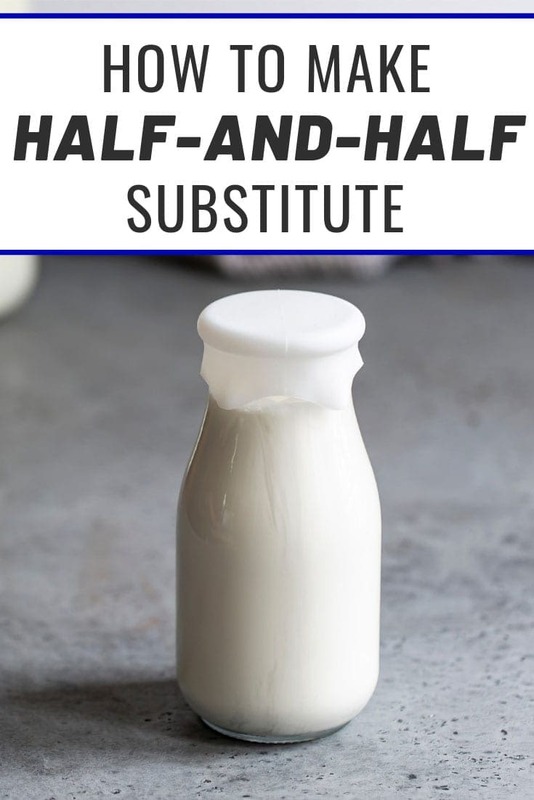 Ready to try out your homemade half-and-half substitute? Check out my classic yellow cake, mint chocolate chip ice cream, and bacon, egg and cheese quiche! I also love this vanilla ice cream recipe from Taste of Home. In a small bowl or liquid measuring cup, combine the milk and cream. Use 3/4 cup whole milk + 1/4 cup heavy cream for a lighter version that still does the trick. See my post notes for additional options using skim and low-fat milk. Great tips! Can’t wait to put them to use! It’s always great to know substitutions that can be used in place of the actual product. I love the way you broke it down according to fat content. Thanks for the tips.